Make your move into the digital world today. Let Viztek show you how to do it easily and affordably. 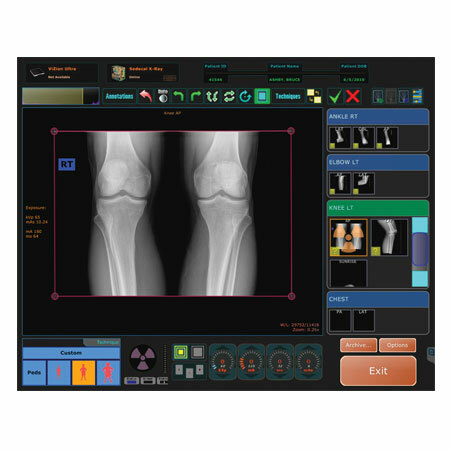 Our technology is leading edge. Our support and upgrades are state-of-the-art. 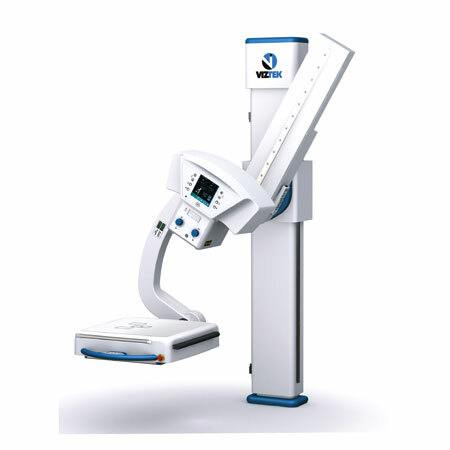 The Main Column is a floor-to-wall mounted system that supports vertical movement with a dual-speed motorized swivel arm for accurate and easy setting. 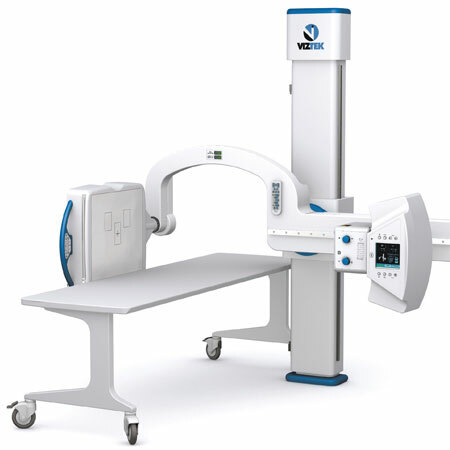 The X-Ray Generator is compact and can supply 50-80kW of output power. 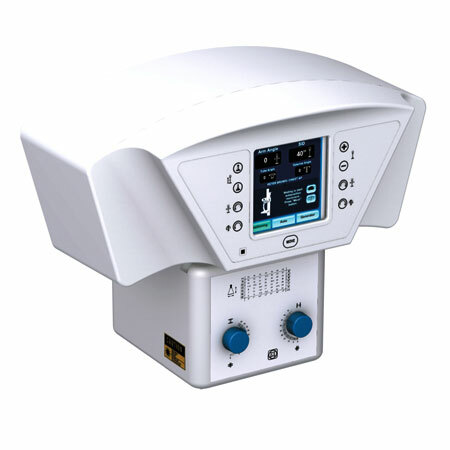 The Collimator features linear laser beam with light field indicator for optimal patient positioning.